Craft, Fabrication and Sustainability: a project consisting the Institute of Advanced Media Arts and Sciences [IAMAS], Gifu Academy of Forest Science and Culture and TAB Co., Ltd. Through sharing skills, know-how and methods, we will create a platform supporting the growth of small sustainable businesses; utilising both hand and digital fabrication tools and techniques. Machine learning is a technique for realizing Artificial Intelligence (AI). Learning rules by repeatedly giving examples of input and output, and returning meaningful outputs with a certain probability to unknown inputs. Machine learning may be said to be similar to the process that the designer learns. Because many designers produce rules within themselves by receiving various constraints as input, outputting solutions that seem to be optimal, and repeatedly experiencing receiving feedback from people. What if a designer has an AI as one’s alter ego? 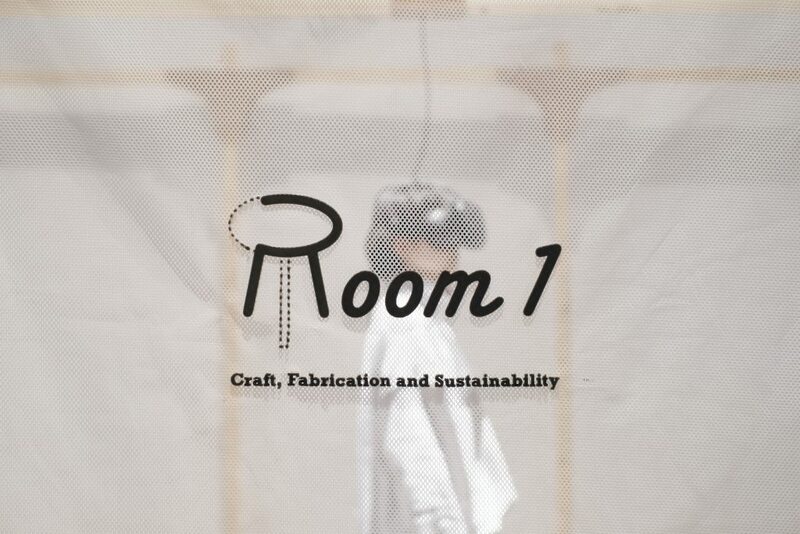 “Room 1” is a hands-on exhibition where a participant interacts in a Virtual Reality (VR) space with an AI, which learned the placement plans of furniture by a designer, at a specific time and under certain constrained conditions by deep learning (a technique of machine learning). When a participant wears the head mounted display (HMD) and places two life-sized model furniture in the space (input), the placement of the five other VR pieces of furniture are dynamically determined (output). Depending on the placement of the imputed furniture, it may be a reproduction of the designer’s proposed arrangement, alternatively it may result in an arrangement close to the intention of the designer, even though it is significantly different from the original arrangement plan. For a designer, the output of “AI” based on the rules that one did not verbalize will be a reflection. From outputs of “AI” to unexpected inputs by a participant, not only by being stimulated from rare success examples but also by reading out glimpses of one’s rule in failure examples occupying most of the trial, the designer will produce a reflection. 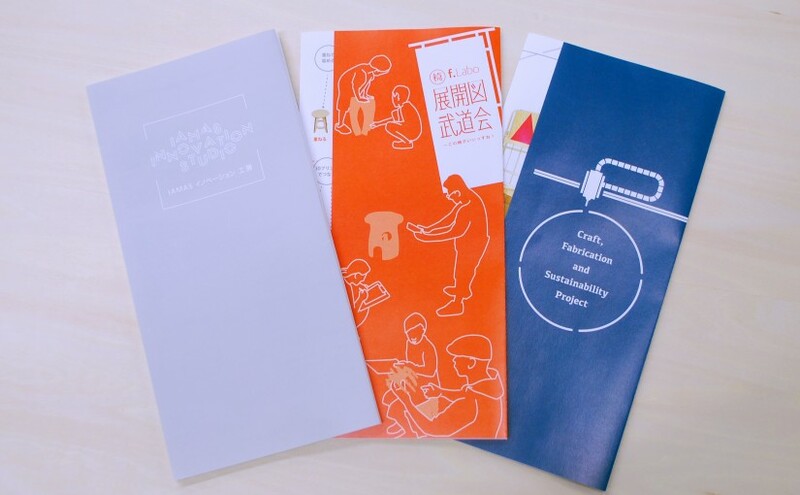 We’ve issued introduction leaflets for the Craft, Fabrication and Sustainability Project, the Innovation Studio, and events. Please give them a look. A movie of the assembly and disassembly of the piece of furniture created in the Craft, Fabrication and Sustainability Project. This piece of furniture was created from the desire for a piece of furniture that would make set-up and transporting during an event or workshop easy. The furniture uses a W650×D800×H1700mm sized roll box palette.